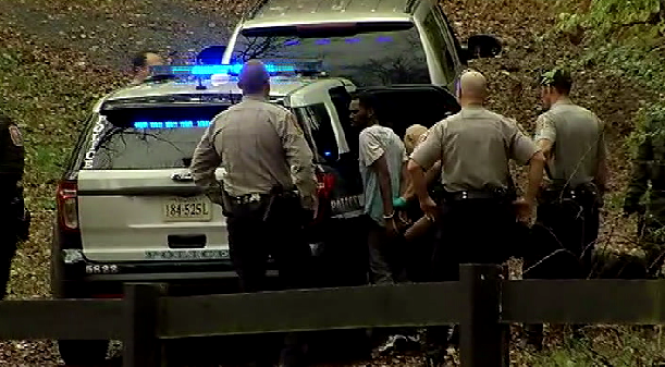 Fairfax County police say five people who fled the scene of a police chase Thursday were in a stolen car. A Fairfax County officer tried to stop the car for speeding in the area of Fairfax County Parkway and Popes Head Road. The driver would not stop, police said, and eventually, all five people inside the car jumped out and ran into a heavily wooded area. Police took one of them into custody several hours later in the 11600 block of Popes Head Road. Investigators later identified the man in custody as 20-year-old K'Shawn Pearson. Pearson has been charged with reckless driving, speeding to elude, driving on a revoked operator’s license, and possession of a stolen vehicle. The other four occupants went to a home and told the homeowner their car ran out of gas. The homeowner gave the group a ride to a nearby gas station. The homeowner asked them about the situation, and all four ran from the gas station, at which point the homeowner called police. Investigators believe the group may have been breaking into cars the night before. The car they were driving was reported stolen in Prince William County. All four passengers (pictured below) have been identified and charges are pending, police said.